We are one of the leading tour and travel companies based in Srinagar. Some tourists like to travel by cruise on their vacations because traveling on a cruise gives a royal feel and you can enjoy your tour more comfortably. For our clients who want to travel Singapore and Malaysia by a Cruise, we provide remarkable Cruise Services. 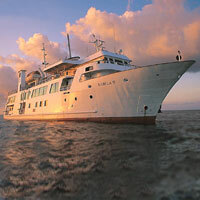 Our experts understand the requirements and budget of the client and then book cruise for them. You can avail our services, so that you can enjoy your tour, and feel relaxed with your family and friends. If you have any specific requirement, do let us know, as we make arrangements accordingly.